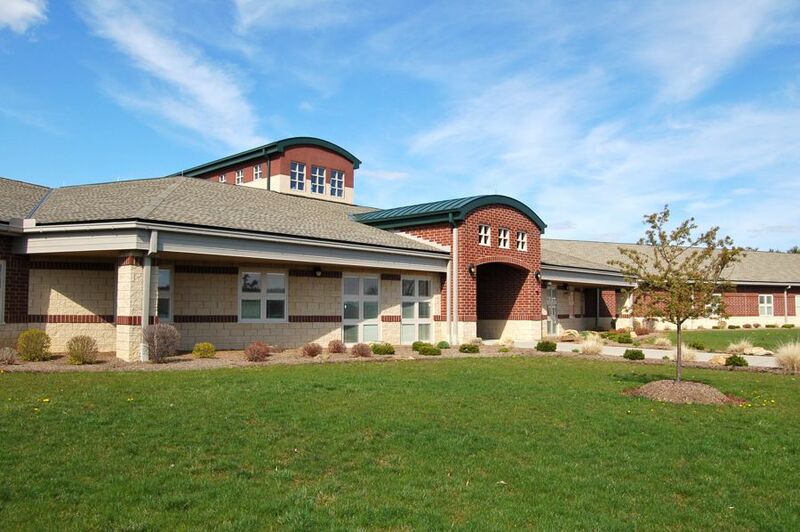 Welcome to the Chieftain Elementary web page. Chieftain Elementary is focused on our district's vision for academic success. We work to provide strong academic foundations while still focusing on providing an environment of support, understanding, and emotional safety. Check out the important information under the Documents section. SUPPORT OUR SCHOOL through BoxTops4Education. Sign up for Remind text updates here. This will help keep you up to date on upcoming school events. Please note this is a no reply text feature and you can cancel at any time. 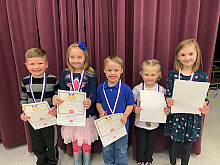 Chieftain Elementary recognized the student of the month nominees at our March PTO meeting. We recognized February and March students together this month. These students are role models at Chieftain and work to make good choices on a daily basis. We are proud of them! Last week Chieftain Elementary celebrated Right to Read week. Students read over 2,000 books in one week! Parents came in as 'mystery readers' and students paired up with buddy classes to read during the week. We are very proud of our amazing readers. 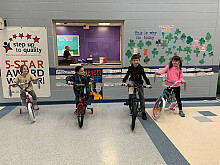 Students earned tickets for books read and we gave away four bicycles. 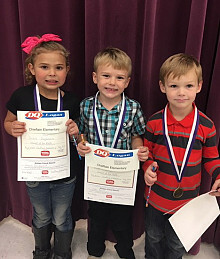 Congratulations to Meadow Sailor, Bryce Doup, Kaden Harris, and Kaylin Ray. Chieftain Elementary students partnered with Ryan Patton to do a drive for Children's Hospital. 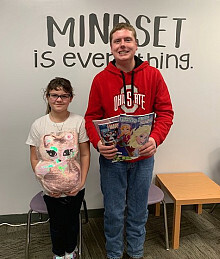 Ashlee Boucher is pictured with Ryan with a few of the items that were donated. We collected new blankets, books, pillows, stuffed animals, and coloring books. Families donated over 400 items. Mrs. Montgomery's first grade class donated 133 items and won a pizza party for their hard work. Thank you to everyone that donated! 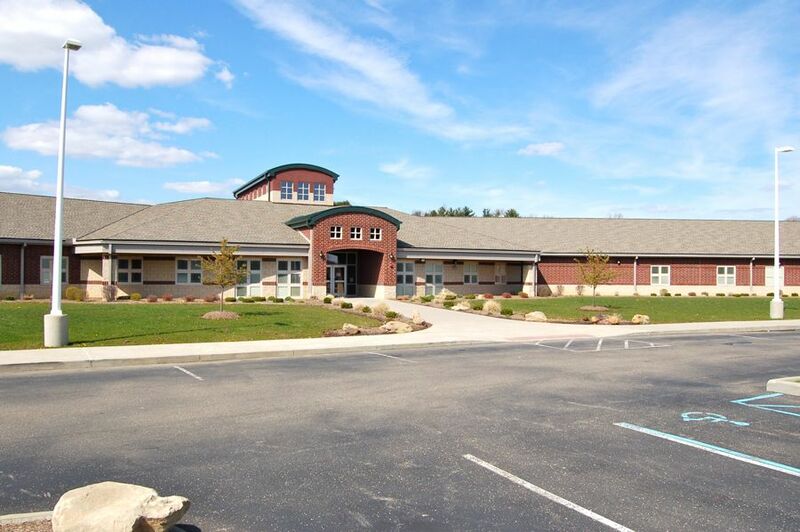 The Chieftain Elementary Family literacy night scheduled for tonight, has been cancelled. Our reschedule date is Tuesday, February 26. 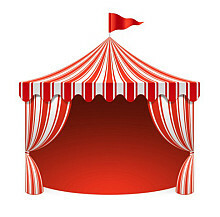 We hope to see you then for 'A Night Under the Big Top'! 'A Night Under the Big Top' has been cancelled for tonight. We have rescheduled our family literacy event. It will now be Wednesday, February 13. Please make plans to attend next week. February 4-8 is National School Counseling Week. We want to thank Mrs. Laux for all she does for our students, families and staff and let her know she is appreciated. 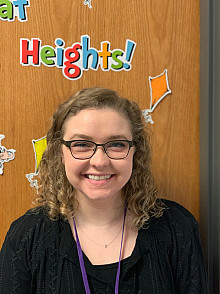 Mrs. Laux joined the Chieftain team this year and we can't begin to list all she does here at our building. We want to recognize the student of the month nominees for January. These students are role models at Chieftain and model being responsible citizens. They are the students who do the right thing even when no one is looking. Chieftain Elementary recognized the student of the month nominees at our December PTO meeting. We are proud to have students who make good choices, are kind and are role models to others. Chieftain Elementary Creates Holiday Fun! As staff prepares to head back to work tomorrow, and students enjoy their last day before they return on Thursday, we invite you to take a look at these albums from each school, beginning with Chieftain Elementary, who knows how to create holiday fun! These photos may remind students while it's sometimes tough to be excited to start back, school is also a place where special memories are created like these. Happy New Year to all our LHSD families! Chieftain Elementary recognized the student of the month nominees at our November PTO meeting. 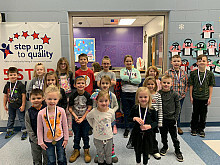 These students are role models at Chieftain and work to make good choices on a daily basis. We are proud of them!